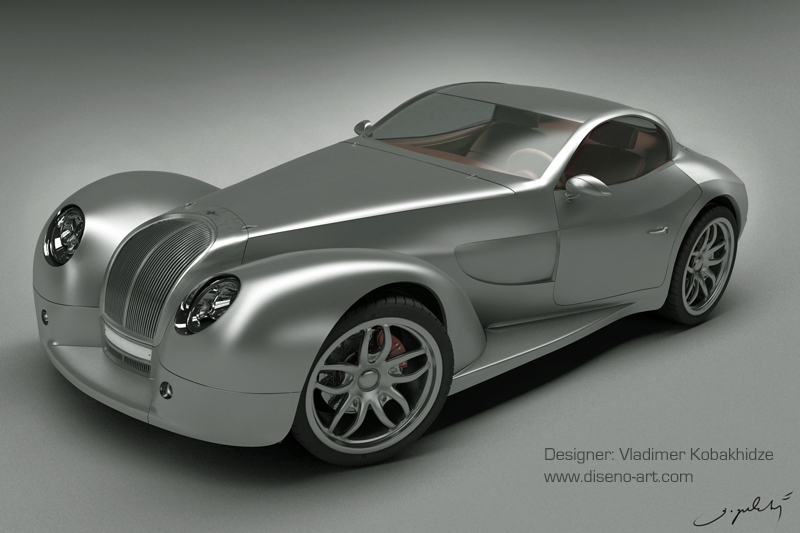 The Morgan Space is a 2 seater sports car concept by Georgian designer Vladimer Kobakhidze. 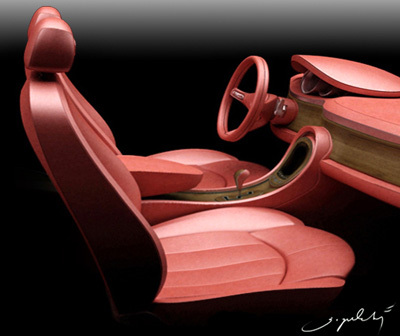 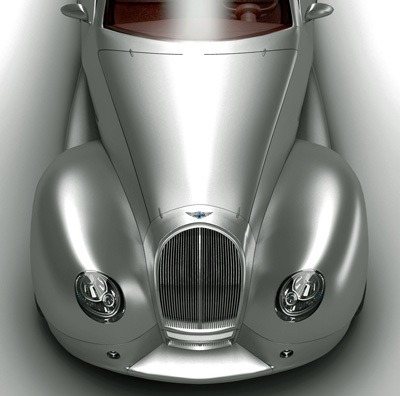 The Space concept is a proposal for a new, more modern Morgan sports car, but one which still retains the unique classic styling for which the company is known. 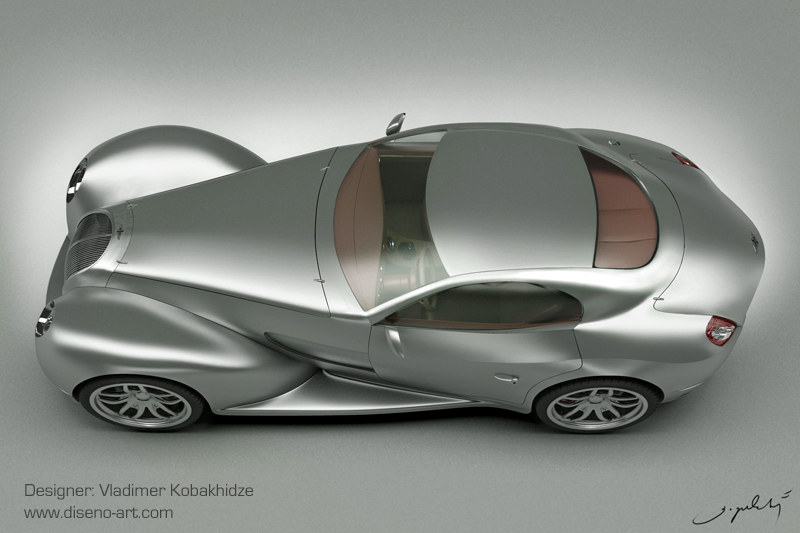 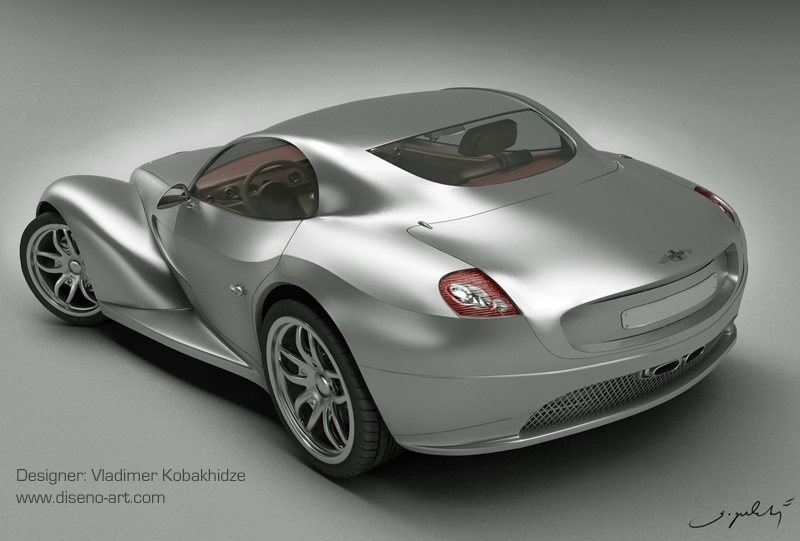 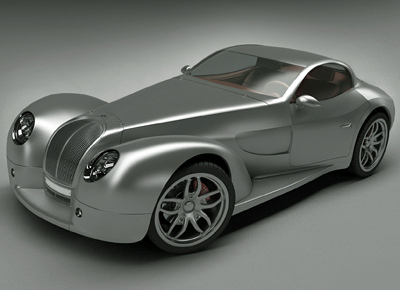 At first glance the Morgan Space concept looks very similar to the Morgan Aeromax concept from 2005 (in production by 2006). 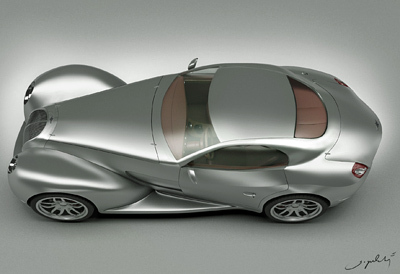 However the two cars are actually very different and not a single body panel is shared between the two cars. 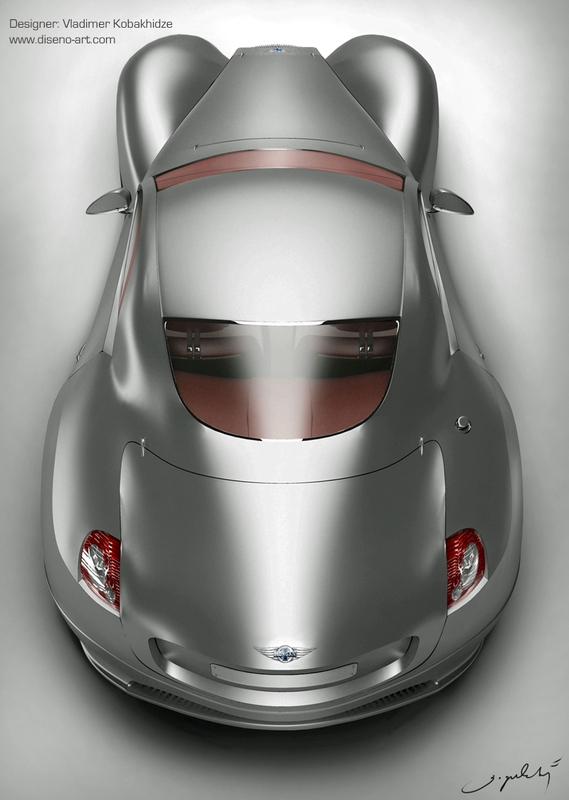 The overall shape of the Morgan Space is far more curvaceous, especially at the rear where the roofline, rear arches and rear bumper flow almost seamlessly into one another. 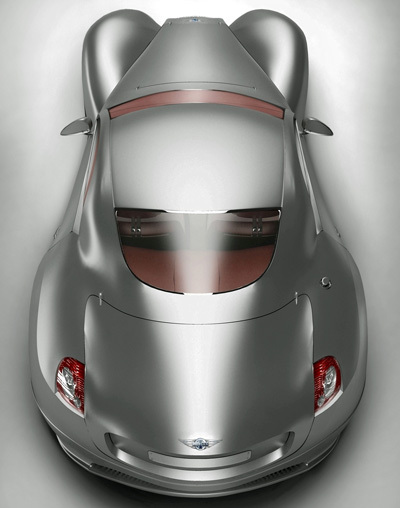 At the front, the pronounced wheel arches are more concise and the trailing edge tucks neatly into the wide sideskirts. 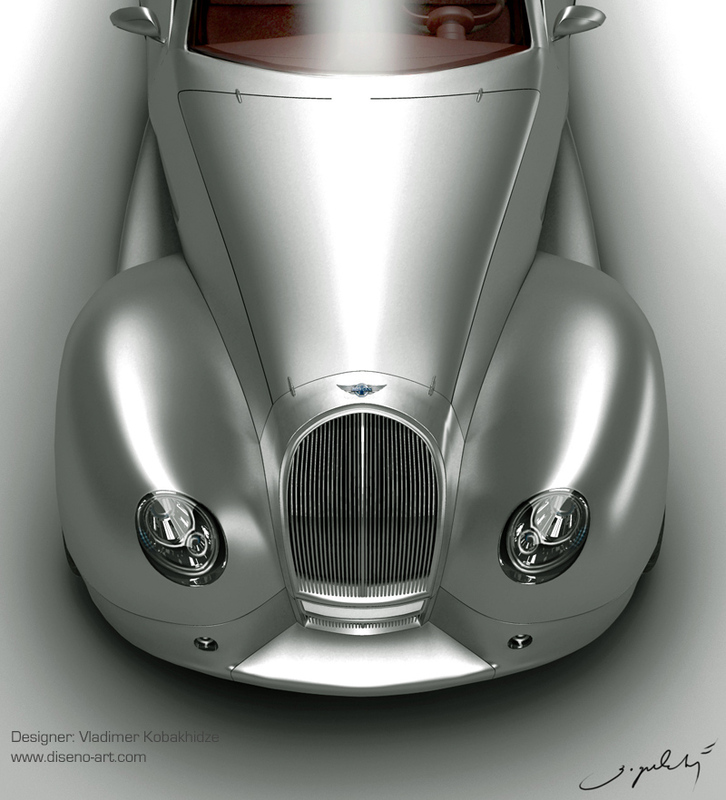 Currently the Morgan Space concept exists only as a 3D computer model and in design sketches therefore there is no directly specified engine and transmission. 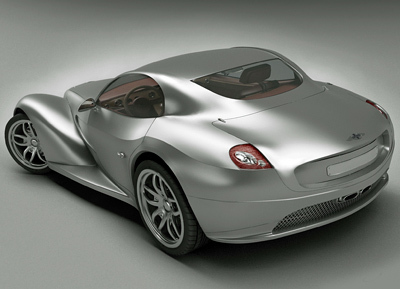 However as the Space concept is based on previous Morgan models which use BMW sourced V8 engines and 6 speed manual transmissions driving the rear wheels a similar setup could be expected if the car were ever to be produced.